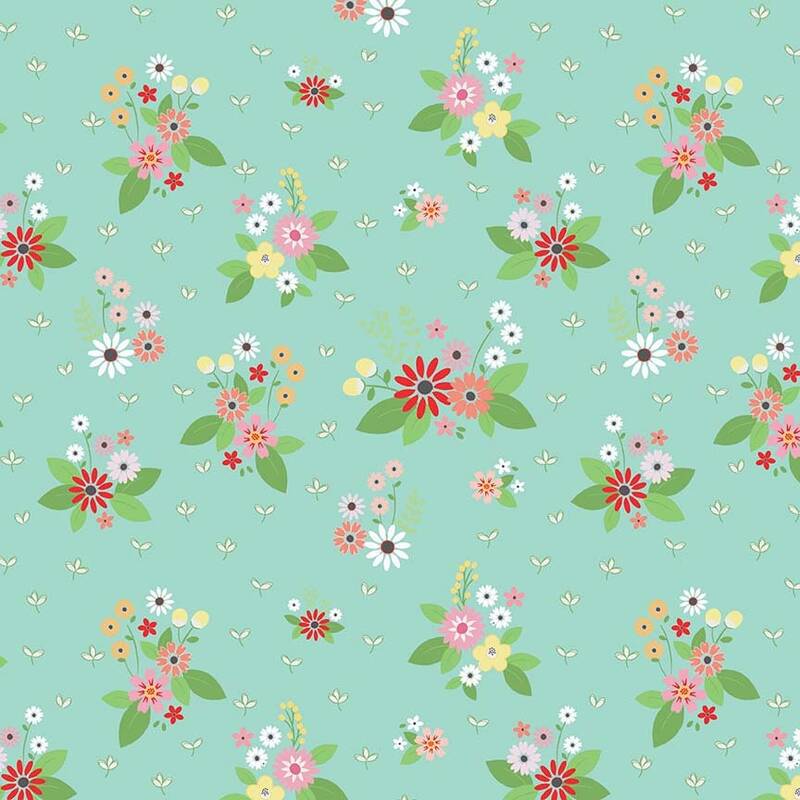 Vintage Keepsakes Floral Aqua (C7861-AQUA) by Beverly McCullough of Flamingo Toes for Riley Blake Designs. Item Descripton: Vintage Keepsakes by Beverly McCullough of Flamingo Toes for Riley Blake Designs is great for quilting, apparel and home decor. This print features floral bouquets and small leaves.